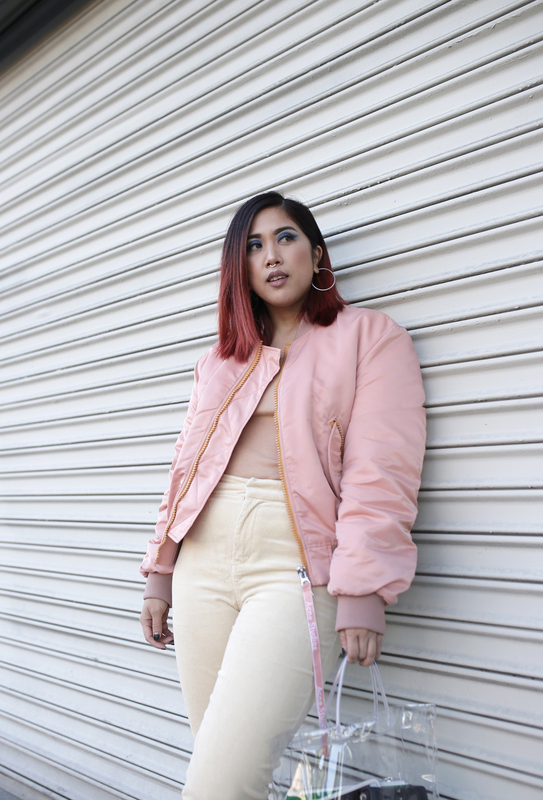 I haven't worn a bomber in a really long time, and for a minute I thought I was entirely over them, until I saw this Acne pink bomber that I fell head over heels in love with. I love the extra puffy silhouette, making it look almost like a cross between a bomber and a puffer. 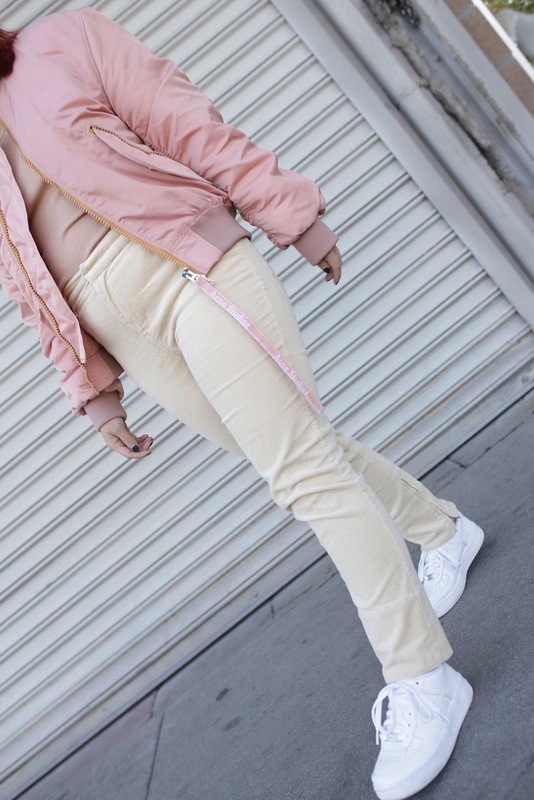 The long zipper pulls are a cute detail too. Looks best paired with other neutral pieces in my opinion. What a pretty bomber jacket, love the color! Oh wow, I really love your jacket. Amazing and it suits you. Oooh love how you're bringing back the bomber jacket!! You styled it so well, I might have to get myself one for the spring. 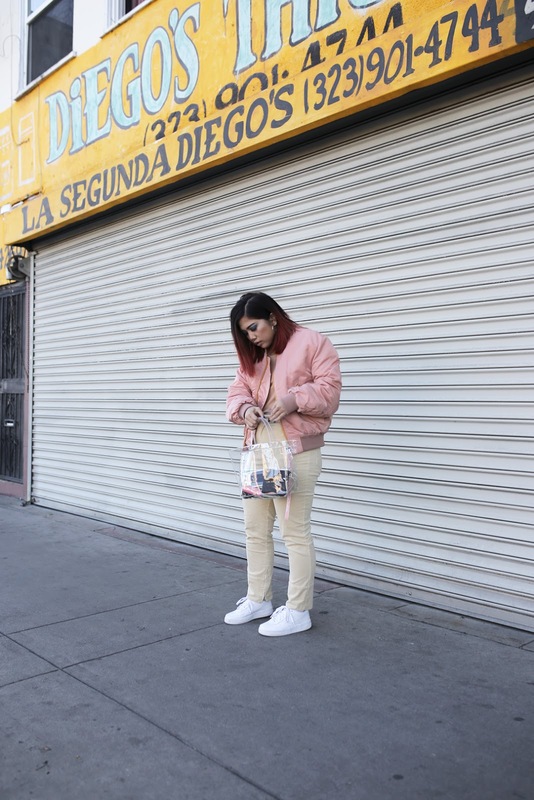 This pink bomber looks nice on you. love your jacket and color. its suits you in a perfect way. you look so pretty. 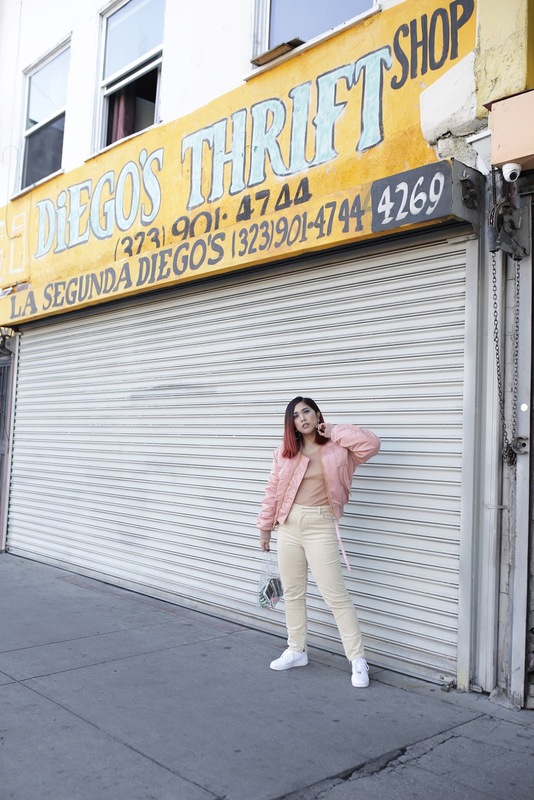 I haven't thought of bomber jackets in so many years! I'm not sure I'll get one in the satin navy blue I had back in the day, but I'd sure love a pink one. It looks just wonderful on you and the zipper pulls are such a neat detail! (If I type a word that looks too short, just throw in a "u" somewhere...my "u" key is acting up). I agree with pairing it with neutrals, though I think light blue denims would be great with it, too. 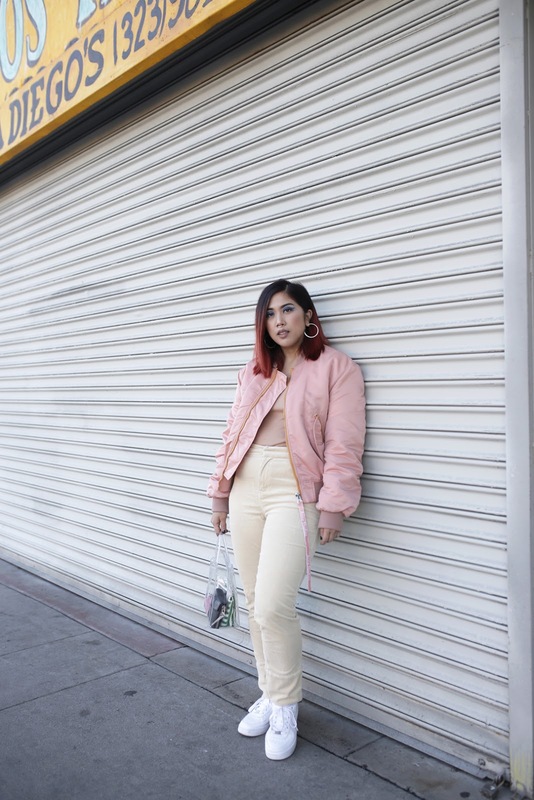 I'm still so into blush (and bombers) so I am DOWN for this look! Yes!! This one is so cool! I love Acne sooooo much! So chic and super sassy! Absolutely love your jacket dear. This pink looks just obsessed me you look so pretty in this pink jacket.